or anyone who loves to bake! 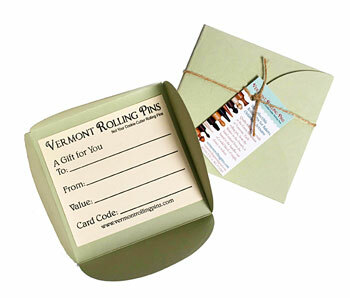 If you know that a Vermont Rolling Pin is a perfect gift for a special someone, but just don’t know which one, then order a gift certificate. 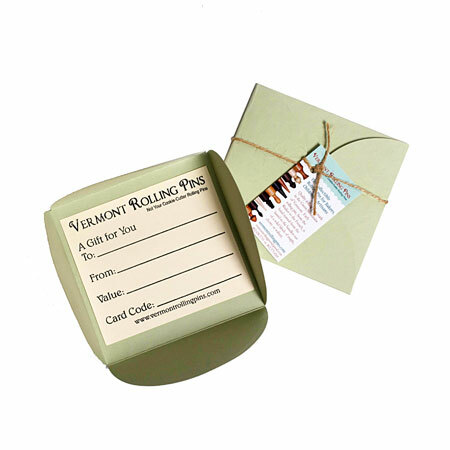 We will ship the card as pictured directly to you or to the receiver of your gift. We can also provide a message with your gift certificate.